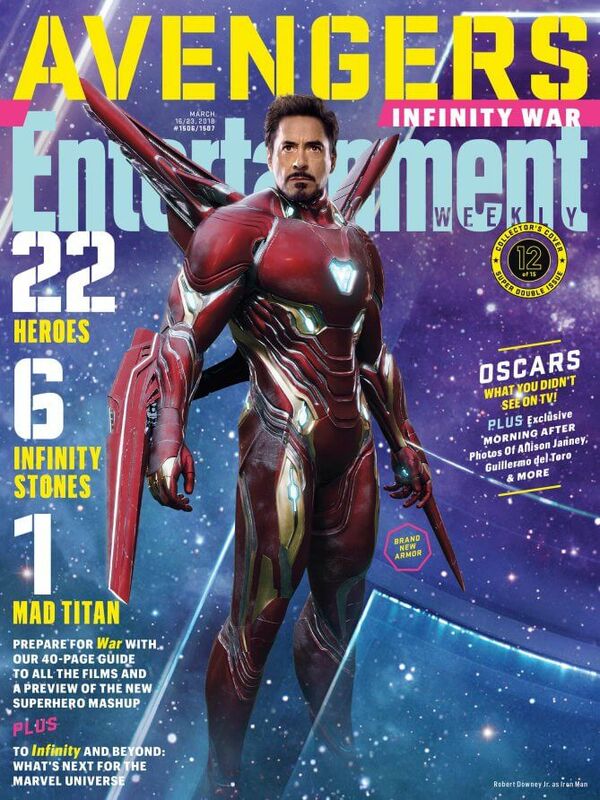 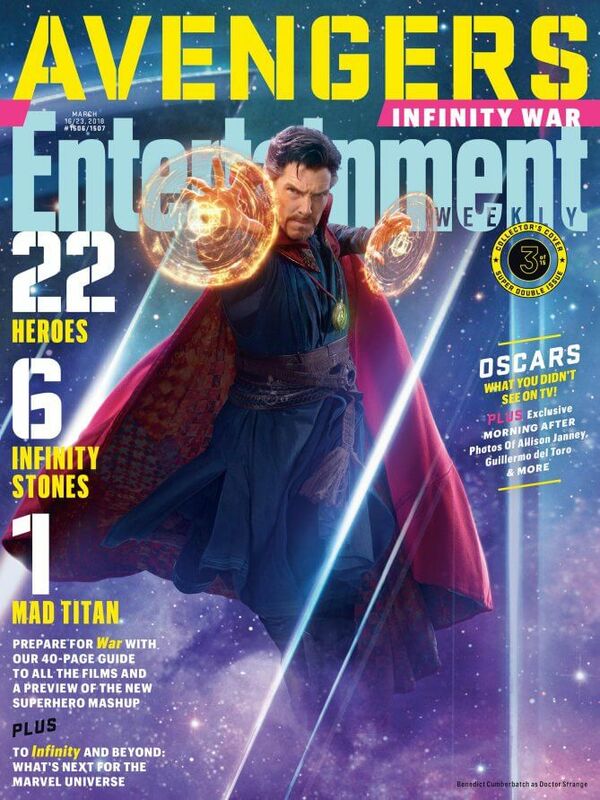 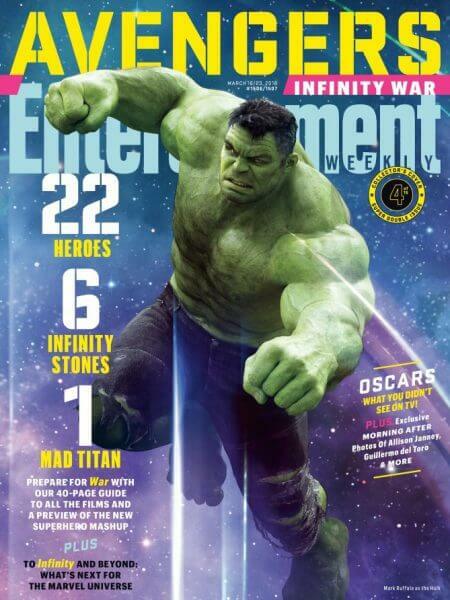 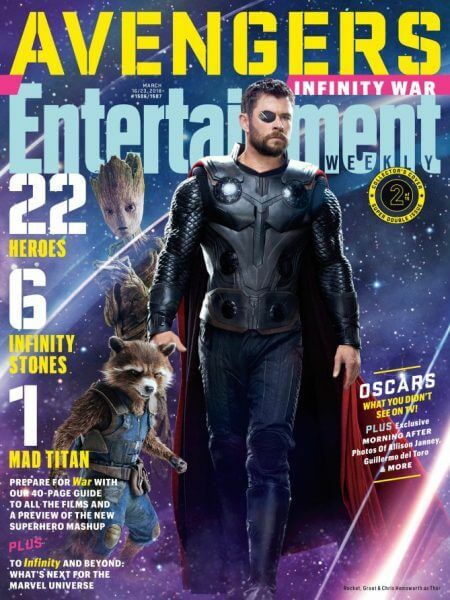 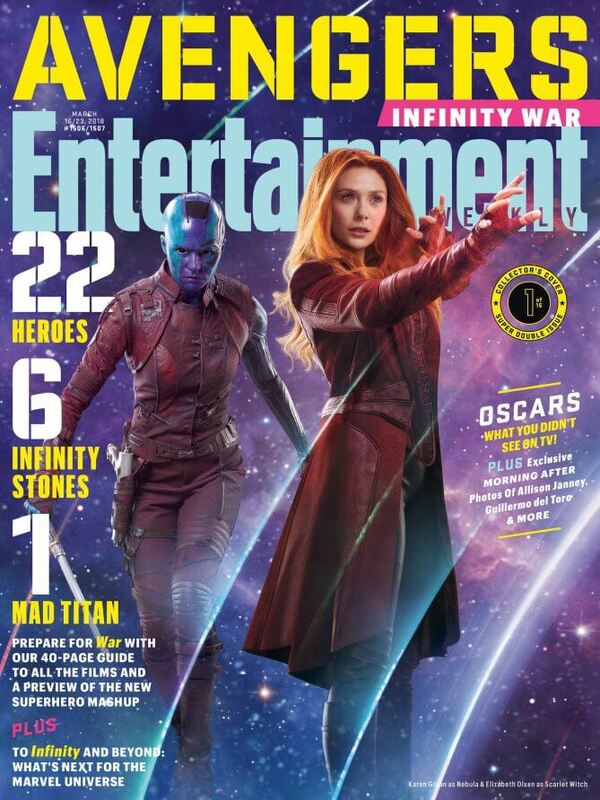 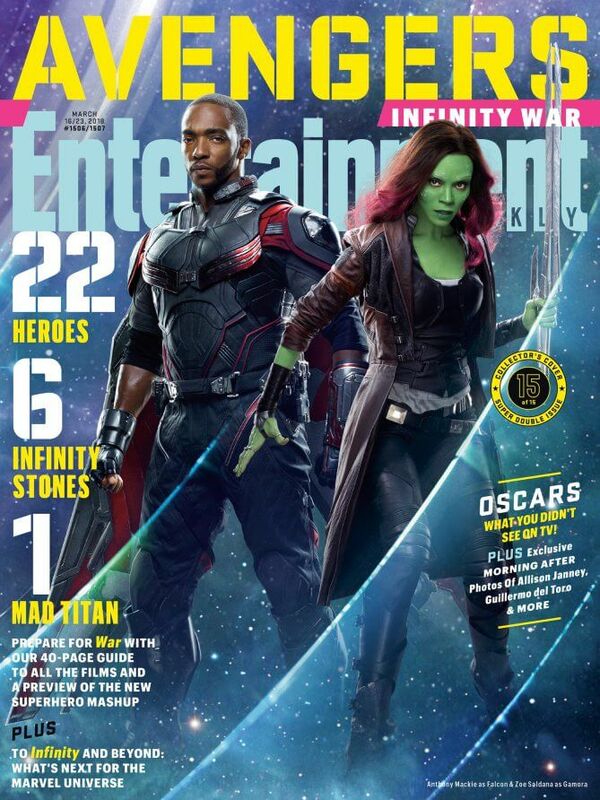 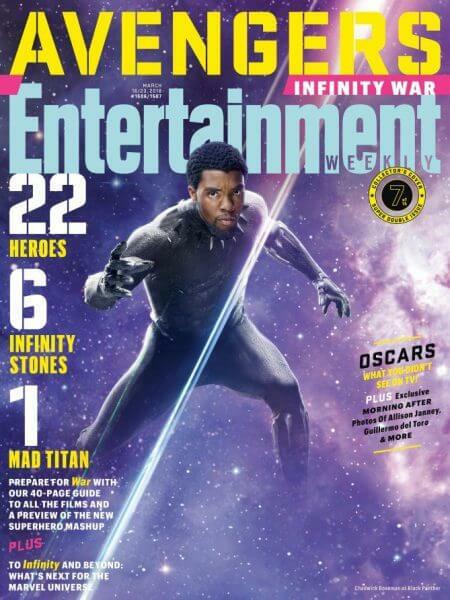 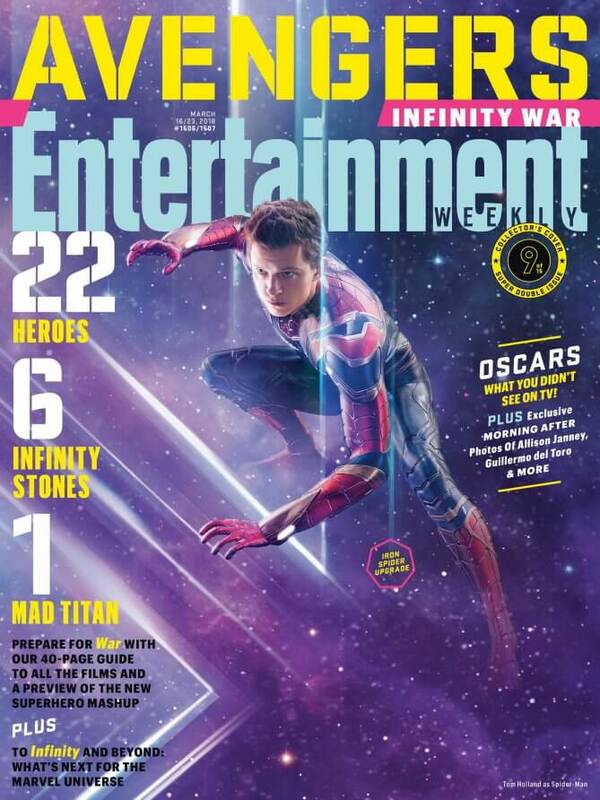 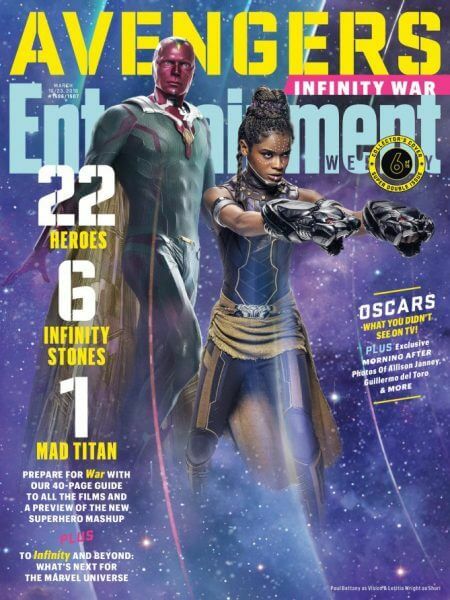 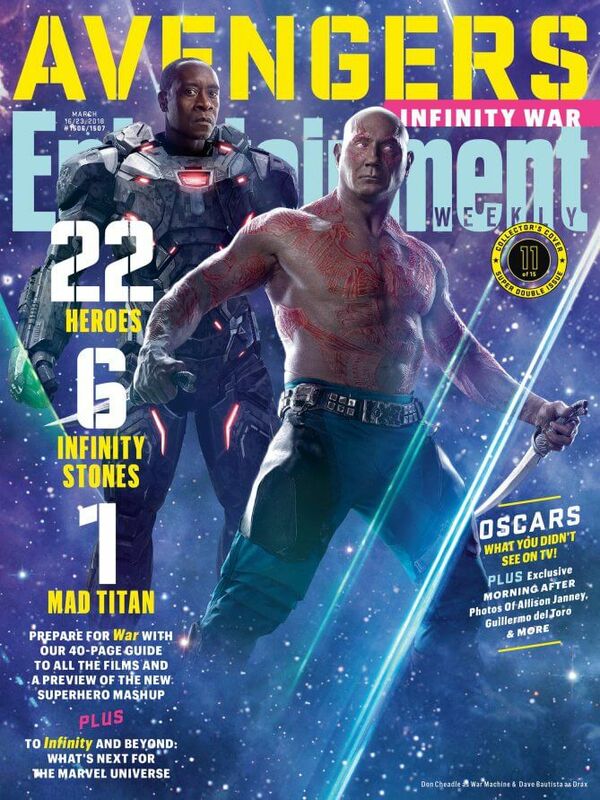 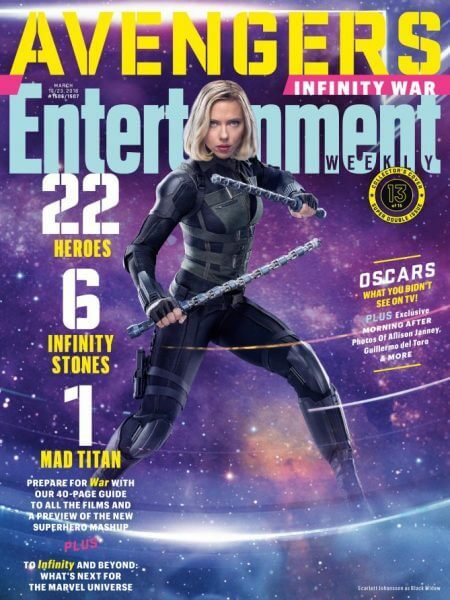 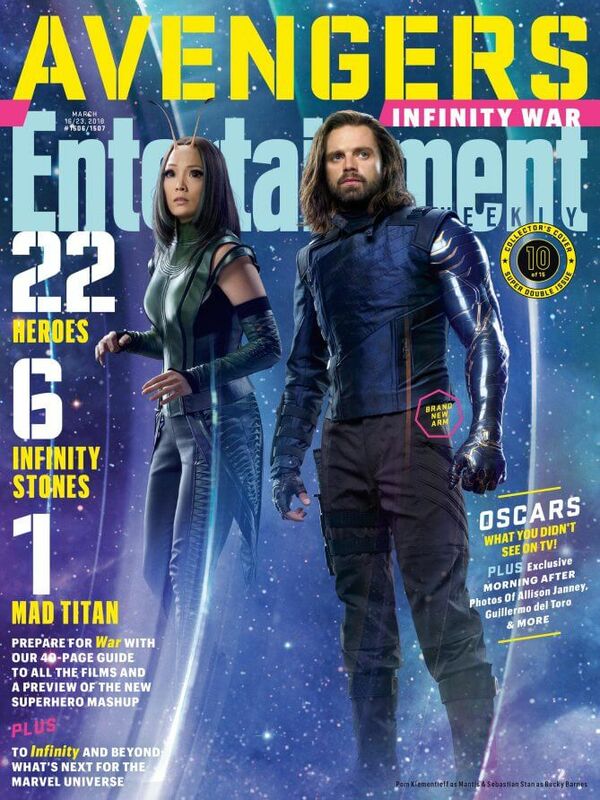 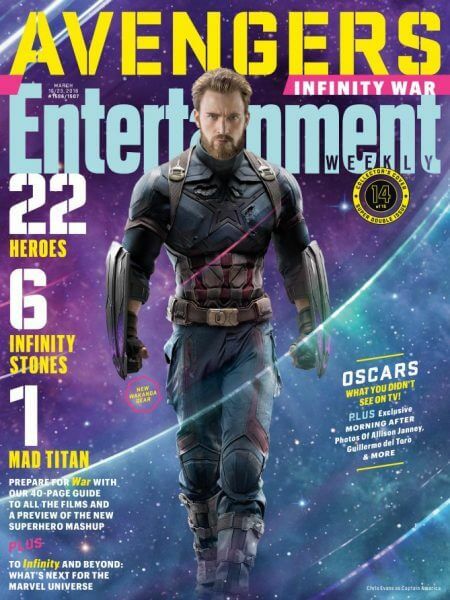 With an enormous cast of superheroes for Marvel’s “Avengers: Infinity War,” it’s only fitting the movie got a supersized double issue of Entertainment Weekly. 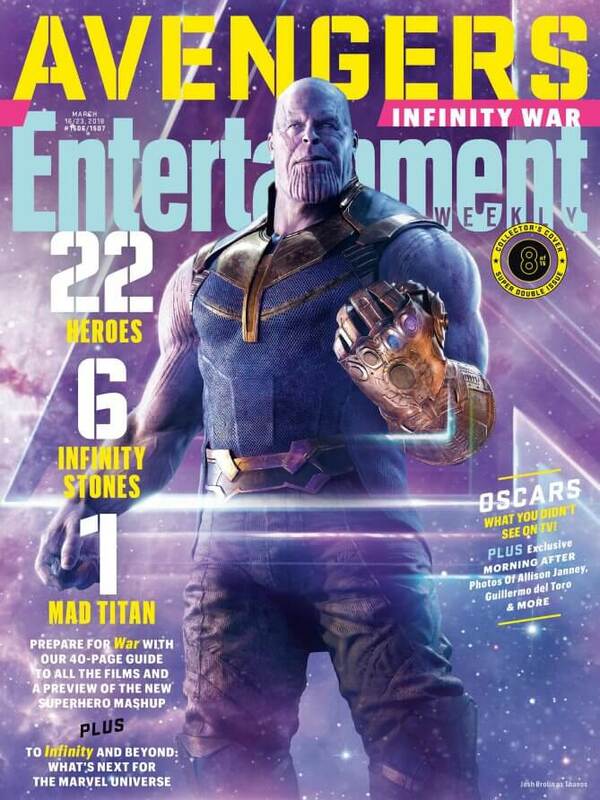 The magazine devoted their new issue to “Avengers: Infinity War,” with 15 different covers featuring 22 heroes and one Mad Titan. 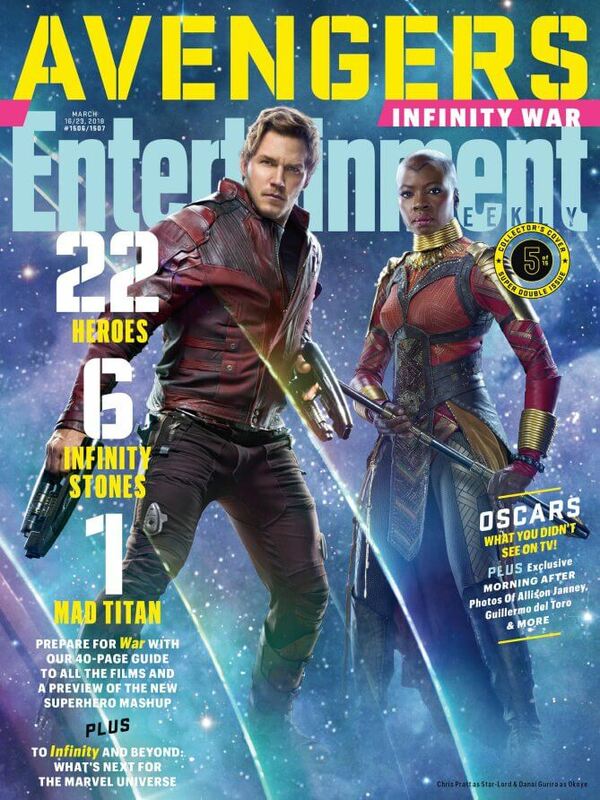 “Avengers: Infinity War” arrives in theaters on April 27, one week earlier than its original release date of May 4.